As I’ve had a lot of new likes over on Facebook and many more viewers of my blog, I wanted to share a bit about the background to creating my pieces and the things which inspire and drive me. Practically all of the material I use is reclaimed/recycled or found. There’s more than enough natural material in existence without the need for more quarrying. I spend hours and days on beautiful beaches (mainly around Cornwall and East Lothian- the main image is from a recent trip to Tyninghame Beach in East Lothian) collecting gifts from the sea such as stones and driftwood. I also seek out disused slate quarries. 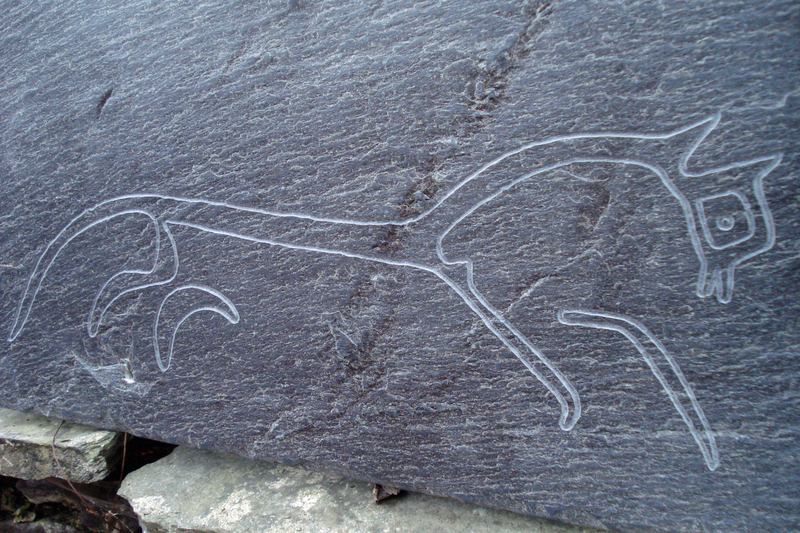 These long-forgotten places offer up some beautiful natural pieces of slate. In addition, I collect piles of disused slate and stone whenever this is offered to me and have a collection of material ranging from reclaimed building cladding to snooker table bases. My pieces are inspired by nature, archaeology, folklore, heritage and the magick of the British Isles- subjects which I have been fascinated with all of my life. As well as traditional designs, I also offer my own artistic and drawing skills and welcome commissions and ideas for pieces. 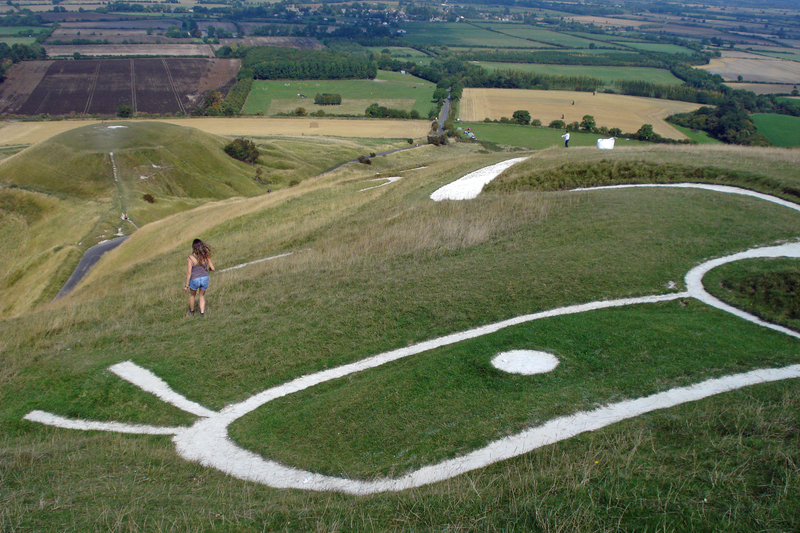 The Uffington White Horse from a magickal summer field trip I made in 2015 around many of the chalk hill figures of Southern England. 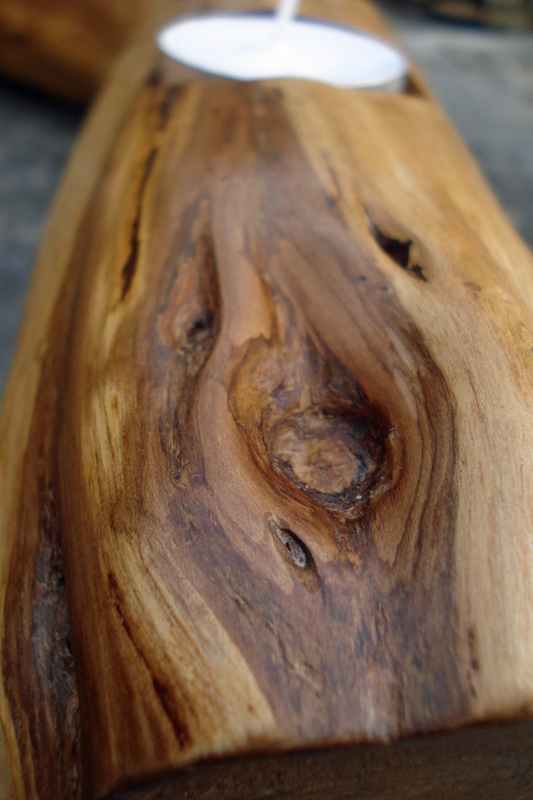 I hand carve and finish every piece- the only machines I use are Foredom, Proxxon and Dremel carvers and an industrial dust extractor. I also use traditional hammer and chisels. No CNC routers, computer designs, carvers or sand-blasters. Slate edges are filed by hand and the surfaces are hand-sanded with up to six grades of wet and dry paper. If the piece requires enamelling, this is also done by hand. All of this is a time consuming process (a cheeseboard/trivet typically takes around three hours to create), but it’s important to me to offer *truly* hand-crafted and bespoke items which will last for centuries. 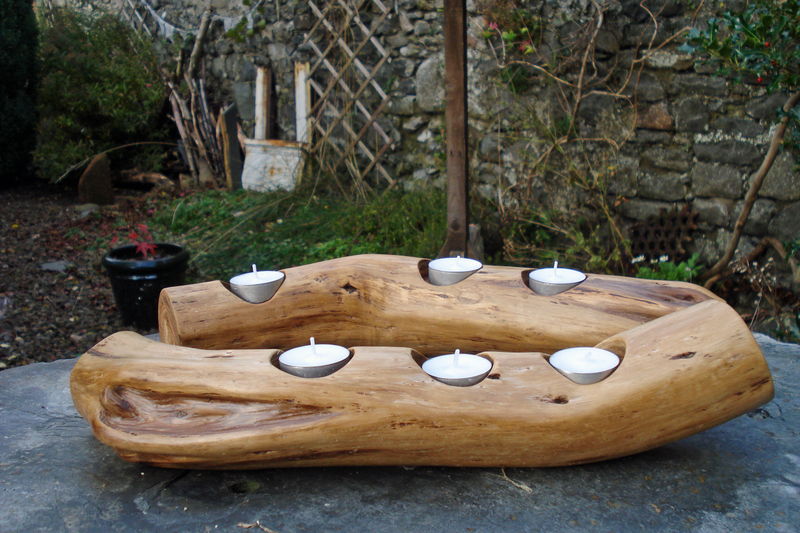 I am passionate about the natural materials I use and am given by the land. 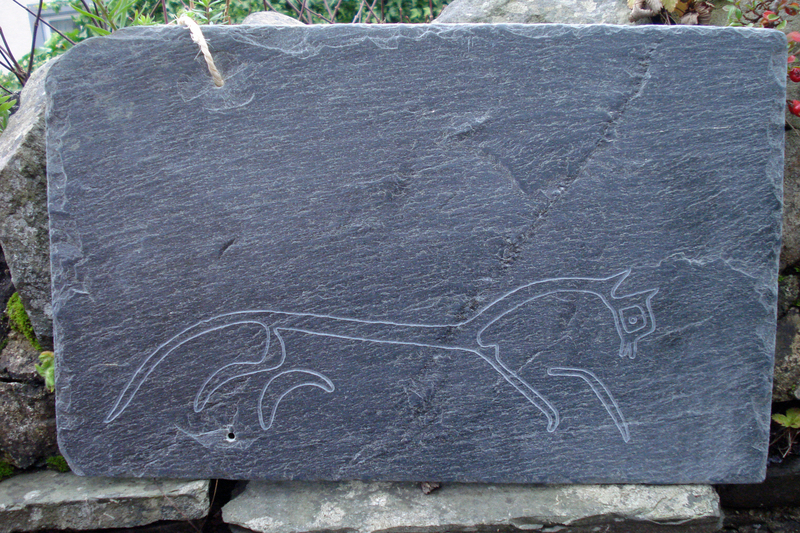 Freehand carved from a reclaimed roof slate. Each of these knives are hand carved and shaped from a solid block of reclaimed mahogany using my trusty Frosts Mora bushcraft knife. Once shaped, the long process of sanding begins- I typically use six grades of sandpaper down to P600. After sanding, I carve any designs using a lovely Austrian V-notch tool. 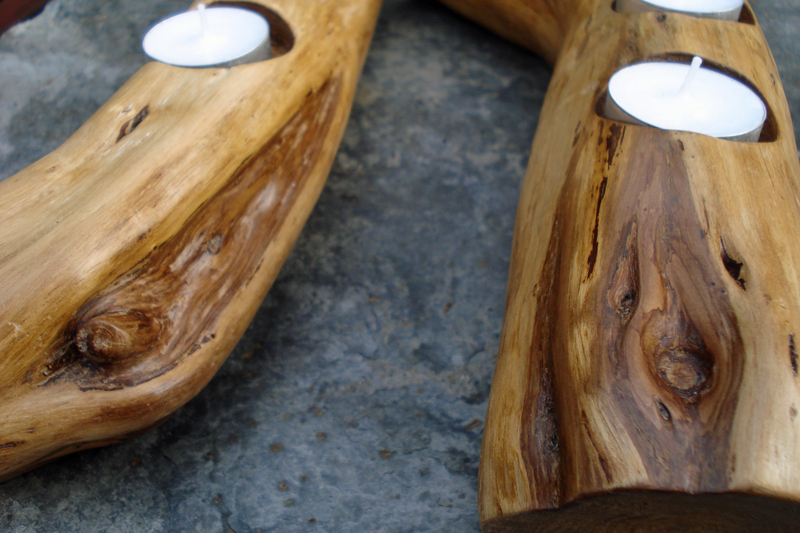 The blades are then set in the wood with super-strong epoxy resin before I apply two coats of wax. 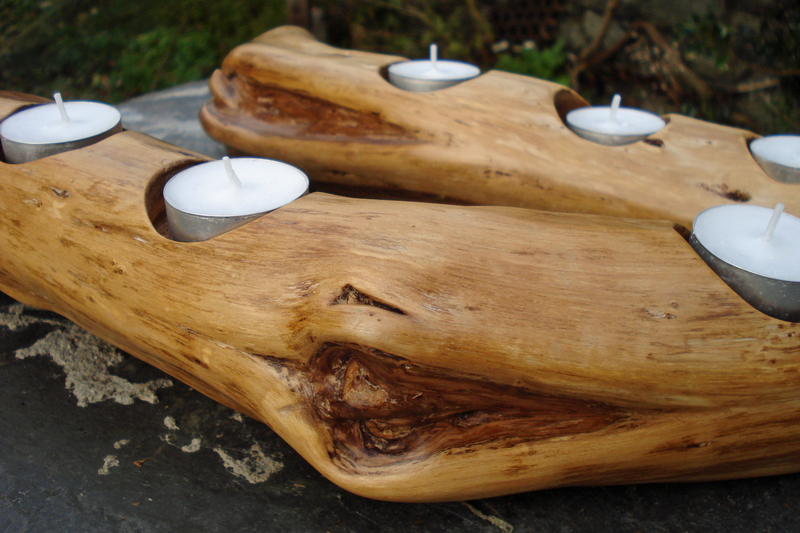 If you would like to purchase one, send me a message on this site, or email hatchburncarve@yahoo.co.uk.